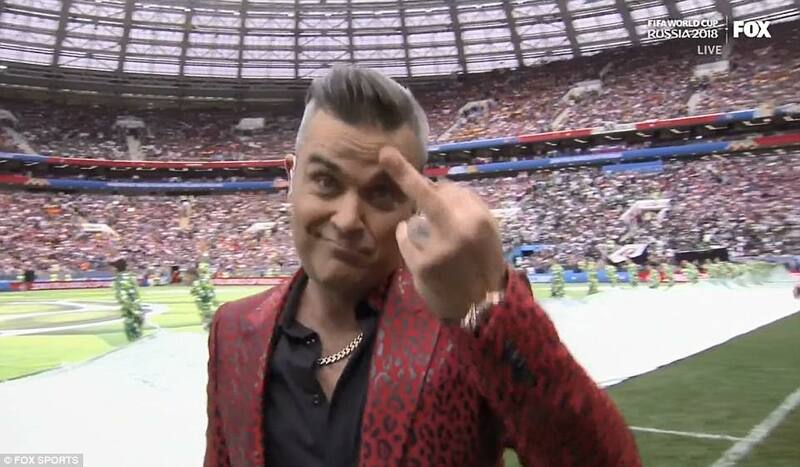 Robbie Williams has sparked outrage after appearing to give the finger to the camera during a performance at the World Cup opening ceremony. 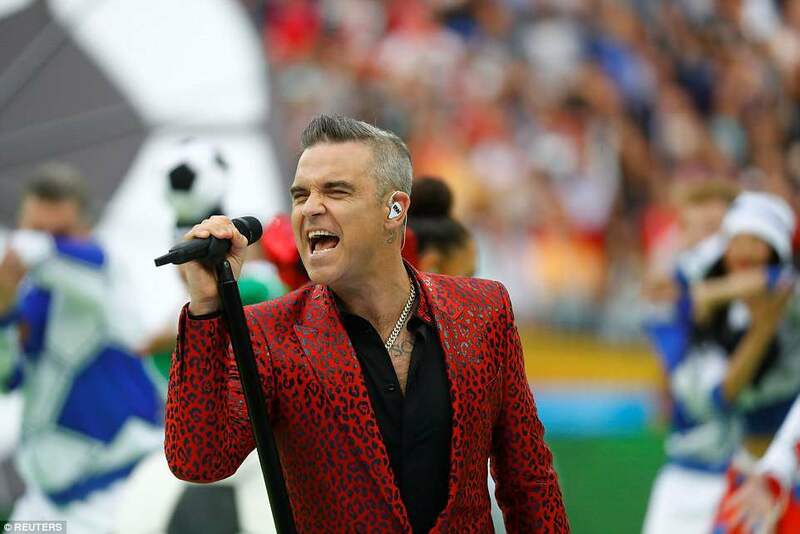 Football fans exploded on Twitter after noticing the ageing singer stick his middle finger up when leaving the pitch following a performance of his hit song 'Angels' as part of Thursday afternoon's proceedings. Twitter users were left stunned by Williams' antics with some blasting him for a 'lack of morals' and calling him 'desperate for attention'. Thousands of revellers packed inside the sold-out stadium to witness the dazzling opening ceremony - seen by an estimated one billion people worldwide.